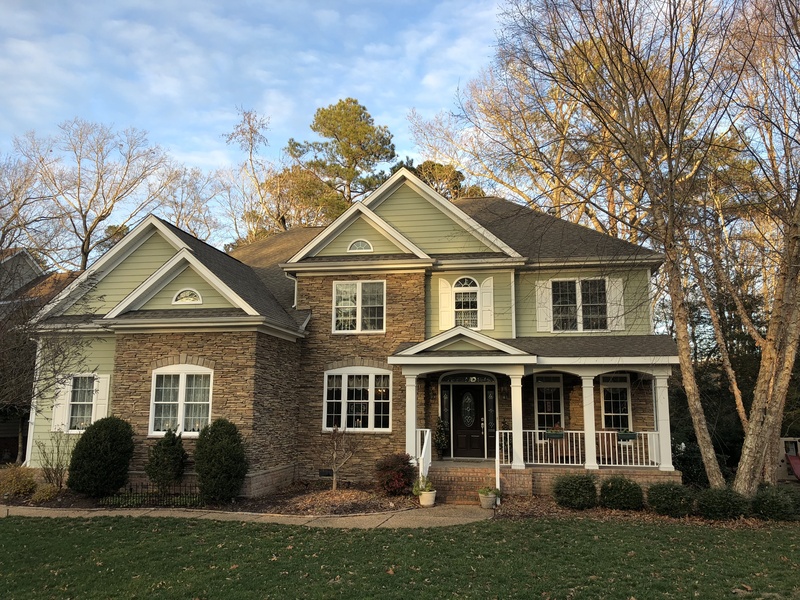 Welcome to 107 Patriots’ Ridge, Carrollton, Virginia– a 5 Bedroom, 4.5 Bath, 3,700 square foot home originally custom built by Birdsong Builders in 2006. This impressive Craftsman style home is located in the waterfront community of Founders Pointe and is currently available for sale with East West Realty for $539,900. Luxurious master suite features tray ceiling, recessed lighting, huge walk-in closet, granite counters in the master bath, expanded vanity cabinets, ceramic tiled shower, jetted tub. Special Features include walk-up attic for easy storage, balcony overlook the two story family room, stone accents the front gables and front porch area. Founders Pointe features 319 homesites and offers resort style amenities- a Residents’ Club and pool, walking trails, playground, and a Community Pier that overlooks Batten Bay and the James River. Founders Pointe features resort style amenities with quality custom homes ranging in price from $400,000 to over $1 million. 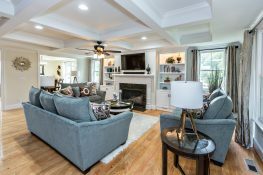 Visit www.founderspointe.com to find out more contact Theresa Williams or Mark Edwards with East West Realty at (757) 238-9009.